Editor’s Note: Today’s guest post is by Joe Gough, head of video production at DTV. With more than 10 years experience and several BAFTA and Webby award nominations and wins among his list of credits, Joe is an established filmmaker working out of London, UK. Joe has created dozens of hours of learning and training content for clients in the pharmaceutical, education, retail and transportation industries. 1. Images engage learners more than words. If a picture is worth a thousand words, imagine how much you can communicate through video! There is strong science behind the use of images, pictures and diagrams to convey information. Research has shown that we remember visual images much more easily than words. Whether it’s on the inside of a cave or doodling on a notepad, pictures are a way for us to take a thought or an idea and represent it tangibly to another person. Video is an extension of this basic need. 2. Storytelling makes learning relateable. Imagine that you were being presented with yet another PowerPoint presentation with endless slides of bullet pointed lists. Only one part of your brain is being used here. Scientists call this Broca’s area or Wernicke’s area –the language processing center of the brain where we decode words into meaning. However, things change dramatically when we are being told a story. Not only are the language processing parts of the brain being used, but every other area in the brain fires up to interpret the story. For example, the motion of video cause our motor cortex to become active in addition to the language processing area.. And it doesn’t just end there. Stories are told in terms of cause and effect—which is how we think and operate as human beings. We think in narratives all day long. This is another reason why narrative video is a fantastic learning tool, as it taps into the very way we understand the world. 3. Video can be there when you cannot. Say you’re the head of a company or department. You’re bringing in a new process. It’s really important. You have your five department heads who are tasked with training their respective teams on how to use this new system –and they’ve got to train their teams in exactly the same way. With in-person training, achieving this level of consistency is unlikely. Each trainer will have their own particular style or emphasis, which means its impossible to make sure that the workers on the ground are hearing one consistent message. With a video this is avoided completely. 5. Video is just more fun! Learning should be fun. Actually, correction, it MUST be fun! An underestimated advantage of video is the entertainment aspect. We choose to film many of our video trainings in a dramatic format because using characters audiences can relate to and identify with helps them understand why the message is relevant to them. Additionally, by placing the learning in a situation we are familiar with, we can more easily understand the significance of the learning and how it applies to us. 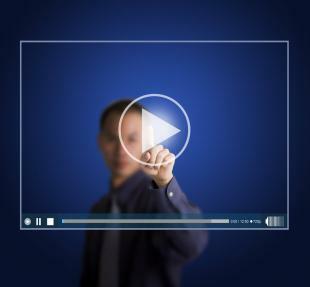 Videos can also use humor to help convey messages. If setting a video about teamwork on a deserted island featuring a group of aeroplane crash survivors helps the audience to get excited about learning and engages them, then so much the better. The important thing to remember is that the content comes first and the messages are tangible, relevant and insightful. 6. It’s not as expensive as you think. Many people have the misconception videos are expensive and time-consuming to produce, but this needn’t be the case. In these times of frugal spending, video can be a cost effective method of communicating with colleagues and clients all over the world, saving money on travel and hotels. However, video must be done properly and professionally. Video is so widely accessible and easy to create, (I can start recording on my phone within seconds) everyone starts to think they’re the next Steven Spielberg! If executed poorly, technical distractions can have a hugely detrimental effect to the message you are trying to communicate. A viewer who is distracted by the camera shake, out of focus image or muffled sound is not going to buy in to the messages of the video or come away with a good impression of the company who is showing the video.